Home to the awe-inspiring temples of Angkor, Cambodia is a country with a dark and troubled history. In 1975, the Khmer Rogue seized power and modeled itself on Mao’s China, evacuating the cities and destroying the culture. The results were disastrous, with 1-3 million people killed in one of the worst genocides in human history. On the bright side, it’s a stunningly beautiful place with extremely friendly people who are doing their best to move the country forward. Rather than just pass through to see the temples, dedicating more time to dig into Cambodia just might be the best travel choice you ever make. Amazing sunsets everyday on Otres Beach. During our gap year trip backpacking around SE Asia, we were fortunate enough to spend an entire month in Cambodia. From hiking in national parks, to partying on an island, to spending a week taking in the sights, sounds, and tastes of Siem Reap, we had an amazing trip and only wish we could have stayed longer. To see how we did it, check out our “One Month in Cambodia Itinerary” for some travel inspiration. Many travelers just breeze through Cambodia to see the temples at Angkor Wat and then move on. Those who stick around will find chilled out mountain towns, idyllic islands, a vibrant capital city, and so much more. If you’re going to travel all the here and get a visa, why not properly explore this fascinating country? Use our map or the descriptions to start planning your trip now. 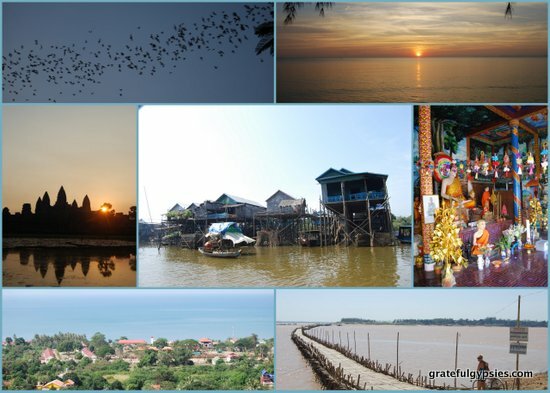 Kep – A chilled out town that makes for a great first stop if coming overland from Vietnam. Kampot – Stay at a beautiful eco-resort on the river and spend days exploring the town and surrounding countryside. Sihanoukville – Cambodia’s hard-partying beach town. Stay on one of the quiet beaches and head to the others when you want to let loose. 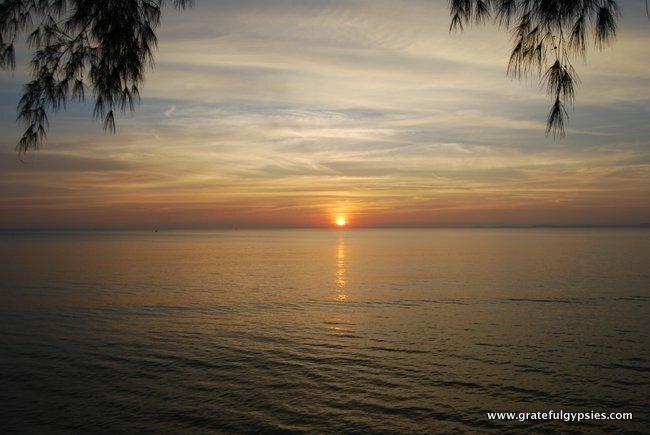 Koh Rong – A laidback island paradise where you can go snorkeling, fishing, hiking, or just kick back and relax. 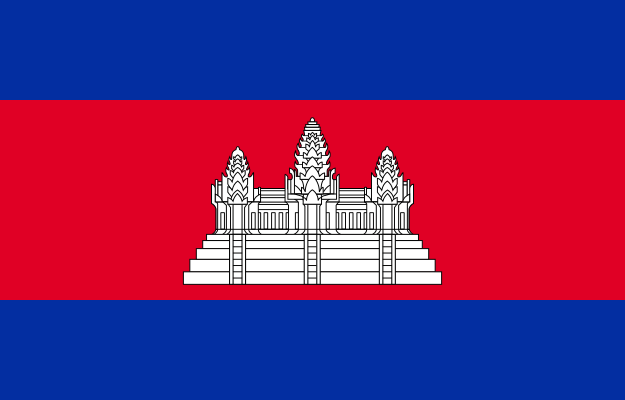 Phnom Penh – The capital of Cambodia, home to palaces, museums and more. Your base for visiting the somber Killing Fields and S-21 Prison. Battambang – Where else could you experience “bats, Buddha, and booze” than in this town – a great stop in between the capital and Angkor. Siem Reap – Home to the ancient temples of Angkor, the most popular tourist attraction in the country. You can also visit floating villages and explore the fun town. Kampong Cham – Heading overland to Laos? Forget that super long bus ride and make a few stops along the way! Explore temples, go hiking, and bike to a tiny island. Kratie – Kayak alongside the rare pink dolphins in this cool little town.